Let’s place your brand right onto your customer’s heart by embroidering your logo on apparel! The process known as embroidery digitizing, allows an artwork to be converted into stitches for sew out. You can stand out from the crowd by placing your embroidered logo on branded apparel such as T-shirts, caps & hats, jackets and beanies to win over your clients. Embroidery has always been considered as elegant and distinctive over other forms of garment decoration and surpasses screen printing, direct to garment printing and weaving. It’s a competitive world out there! In today’s knowledge based economy, consumers own a wealth of information about your business, your product portfolio and expect stellar customer service quality. The revolution in the information technology and communication sector has drastically transformed the international corporate area. It has allowed companies to expand beyond borders, reach new markets and capture new audiences. Marketers have to constantly innovate and discover ways to facilitate promotional engagement and build brand loyalty. We believe that you can offer a stronger brand experience by adding tangible brand features for your customer to interact with. Hand embroidery has existed since ancient times, yet automated machines put a new spin on logo embroidery. Your logo is the first touchpoint your consumer will connect with and will be the focal point of recognition as it is your brand identity. Its visual nature represents the essence of your brand and establishes your image in the business realm. It creates an emotional connect with your target market as it will trigger brand recall. The first rule of marketing is to always adhere to your brand logo and ensure its uniformity in font, color, shape and visual across all marketing mediums and channels. That’s why it is imperative to employ the right tools when placing your logo on branded apparel and items. Embroidery digitizing software plays a significant role in ensuring image consistency, precision and quality. This technology permits commercial entities to standardize accurate stitching of their logo embroidery on a computerized embroidery machine. 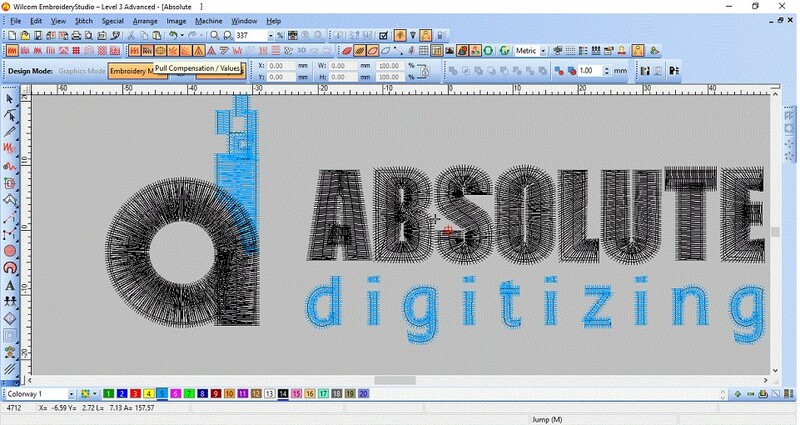 So, what is the ultimate way to convert your logo into needlework? 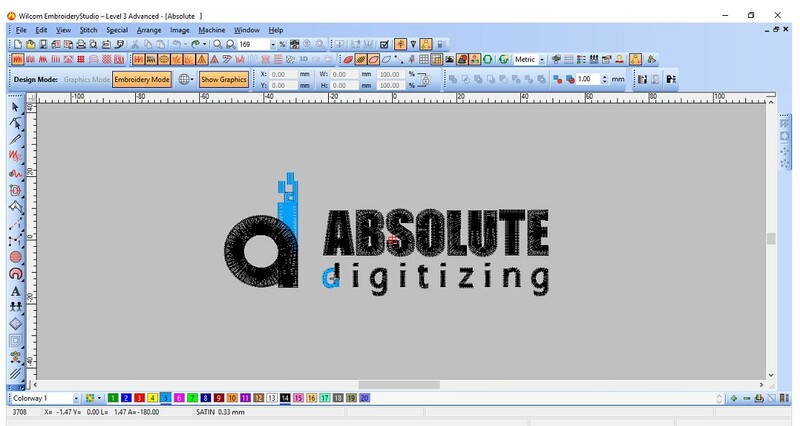 This process is called “Embroidery Digitizing” which is its backbone. For more information check out our comprehensive embroidery digitizing guide. Here in this blog, we will only discuss the procedure of logo digitizing which can be used for embroidery. 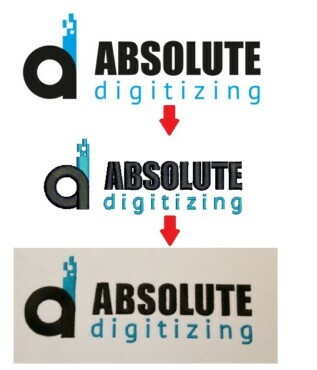 It is essential for us, at Absolute Digitizing, to form an auspicious working relationship with you, our clients. As equal partners in your business journey, we will strive to not only match but to exceed your expectations. To do that, it is vital that we gather and truly understand your requirements. This procedure is conducted online for your ease and convenience. You share your specifications on our website by addressing variant factors such as whether you are a new customer or an existing one. There is an option to indicate the urgency of the order (ranges from twelve to twenty-four hours) or whether it is a request for a quote only. Preference for machine file format has to be submitted as well. Details regarding size, fabric class, number of colors and uploading the logo image will complete this step. You also have an option to download our app on your iPhone / iPad or Android device to perform this task from the palm of your hand. It is recommended to submit a clear, high-resolution logo image for embroidery digitizing purposes for carrying out a detailed job. Embroidery digitizing is the process by which your logo, image or chosen artwork is altered in to a stitch file by our experienced professionals. It can be then sewed on by an embroidery machine and requires a certain skill set. 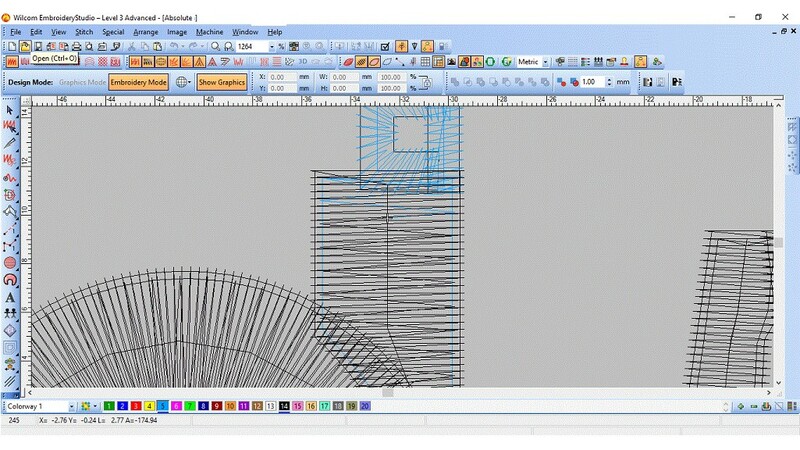 This is where the power of the human element is illustrated in the field of digitizing. Our skilled, creative digitizers aim to perceive your logo holistically and fractionally. We dive into its very depths, divide it into layers and sub layers, analyze how each tiny piece comes together, observe the convergence of its eclectic shades, and study the best lighting for it as well. Clearly, embroidery digitizing is not a one click procedure and requires an expert eye. Hence rest assured, your brand or company logo embroidery is in experienced hands! 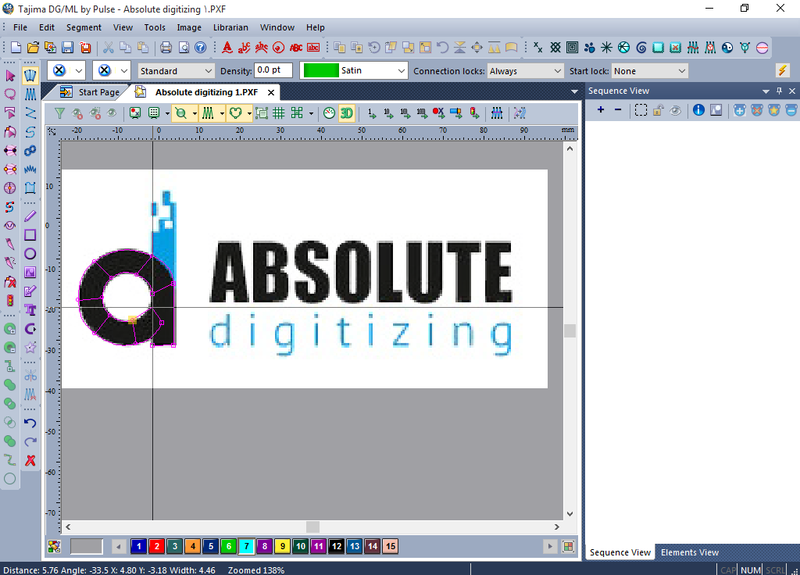 Our team of professional staff is well versed in major digitizing software. We customize a variety of techniques to cater to the size of your logo, area of placement, texture, and fabric of your garment. We identify what part of it needs to be amended or edited in terms of replicating gradient tones, diminutive details, inner layers, shadows etc. Wilcom Embroidery Studio, or Tajima Pulse DGML, two of the top-notch embroidery digitizing software in the industry is utilized to perform the above. Each offers multiple dimensions, advanced stitch effects, lettering options, and wide-ranging digitizing features that optimize logo conversion into a format for machine embroidery. As each logo is unique, we contemplate different variables before we perform our magic on it. When the artwork has been prepared, our digitizer decides on the order of stitches from the beginning to the end, known as “traveling”. Excellence in quality standards is our motto and execution of this step “traveling” will ensure that for your logo embroidery. The terms irregular lettering, undesirable breaks, or poor stitching do not exist in our business vocabulary. Next, our technical expertise and creativity will determine which stitch class is optimal for each part of your logo for a perfect sew-out. Diverse stitch categories include running stitch, satin stitch and fill stitch. Factors such as the trajectory of the needle stitch, quantity of the underlying stitch, and stitch density are dependent on logo embroidery thread colors, stabilizer or backing material and much more. When converting your logo for embroidery, it is important to either push or pull the stitches on your logo design to complete its professional appearance. The penetration point of the stitch is the exact area where the needle presses into the fabric of your logo, and links its upper thread with the bobbin thread. The interaction of these two threads produces a pulling effect. If the cloth is elastic or there is an elongated stitch, the pulling effect will be amplified. Our digitizer will adjust this by making the stitch longer in your logo embroidery, and this is known as pull compensation in the sphere of embroidery digitizing. The push portion in the logo digitizing is the open part and is located on the opposite sides of the points of penetration. If need be, we will reduce that section and bring it closer together. This is known as push compensation and the scale of its application is also dependent on the amount and type of underlay we utilize. Throughout the journey of embroidery digitizing, we keep checking the output work against your requirements. Once the logo has been converted into machine format by the embroidery digitizng process, a member of our team will conduct a comprehensive review and counter check the details. Then, we send the digitized file back to you, our customer for final approval. You can test the design by running it on your machine and if any edits are needed we will provide it for free till you are completely satisfied. The garment that you have selected for branding is put on the hoop of the machine where the embroidery is sewn. And voila, your product is ready to interact with your consumers! Sharing branded apparel and promotional items is a great consumer touchpoint. People love free giveaways and do adorn them amidst friends or family. It generates word of mouth for our brand along with free advertising. Who doesn’t love free advertising? So, give us a call or visit our website to request a quote to see how best we can not only meet, but exceed your needs of quality and turnaround time by our cheap digitizing prices. You will fall in love with the final embroidered Sew out! Click to get this quality digitizing for only 10$ now.